I build ukuleles and guitars to delight, in hopes that they–in their own small way–will inspire hope, expression, connection, and joy. Delight has many dimensions, starting with sheer tone, playability, and responsiveness, but also including rich expressiveness, beauty, personality, layers of discovery, and graceful aging. They flow into each other so intricately that my work is as much composing, discovering, and coaxing as it is “construction”. I also build for longevity. Delight and longevity are entwined: some aspects of delight develop only over the decades, and an instrument that delights invites the care that will contribute to a long life. Your role is even more important; because tone and responsiveness improve profoundly with time and playing–provided the instrument is built to allow it–the player is integral to the development of delight and longevity. Longevity and reliability entail multitudes of choices for the maker, starting years before an instrument is begun, permeating its creation, and looking forward to the maintenance and repair that accompany a long musical career. Wood choice and seasoning, “milling and chilling”, humidity control, surface preparation, glue choices—don’t get me started unless you have some time, because we’ll be down the rabbit hole before you can say moon-spruce! Owners and players once again have a critical role: make lots of music, and see the FAQs on instrument care for the rest. Within this context of delight and longevity, each instrument grows out of particular intentions for musicality and character, is shaped by my grateful experience with fine players, makers, instruments, woods, and tools, and then passes into the care of successive generations of players. At the root is my hope to impart warmth and heart to every instrument, inviting all of us into joy–“higher up and further in”. 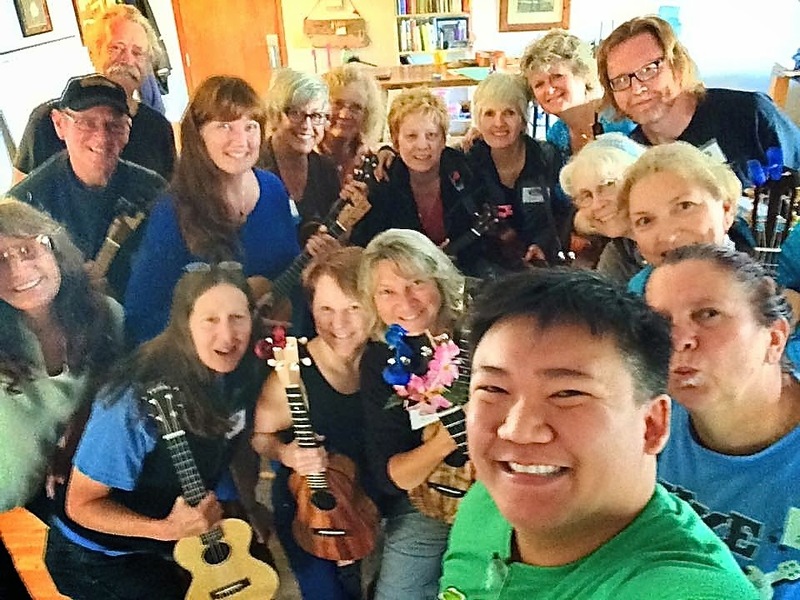 Joy runs rampant in Craig Chee’s class at Tunes in the Dunes 2014. I’m the redhead at upper right.